With more things on my calendar and to-do list this week than I care to count, I was in the mood for the quickest, easiest possible DIY... Enter the ball necklace. 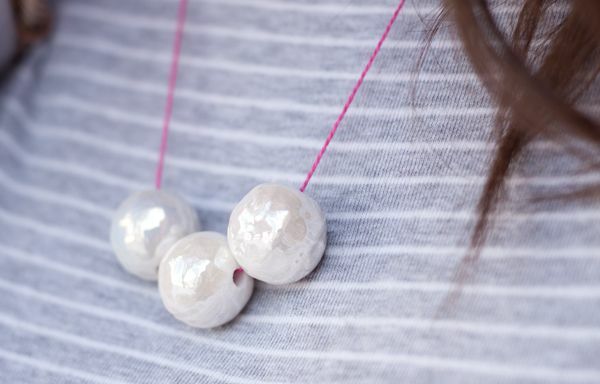 When I saw this simple yet oh-so chic necklace from Marc by Marc Jacobs, I realized that I could put something similar together in five minutes flat. Sound doable? Here's what you've got to do! 1. Cut a vibrant embroidery thread into a 16" piece. 2. Take a crimp bead and tightly secure it to the end of the thread. 3. Repeat on the other end of the thread. 4. 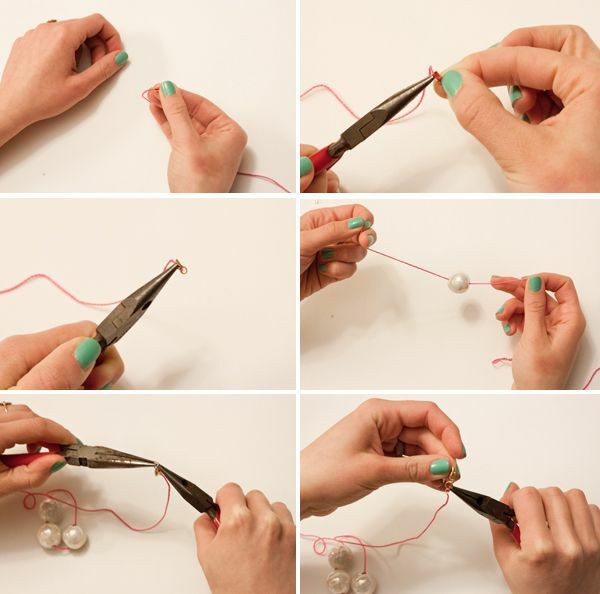 Add three medium sized ball beads to the thread. I chose these white ceramic ones, but the sky's the limit here friends. 5. Add jump rings to each crimp bead. 6. 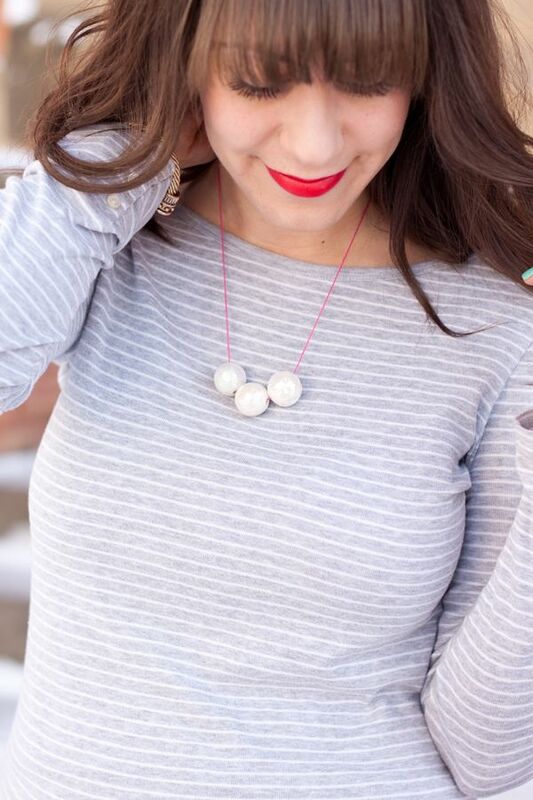 Secure a lobster clasp to one of the jump rings and throw on that shiny new necklace of yours! Such a great DIY! Looks easy and chic! Such a fun idea lady! This is so great! I always love your DIY's. Now, I just have to try some out. I'm always a wishful thinker when it comes to do it yourself projects. I LOVE this DIY, great job! Vickie! This is amazing! Definitely have to make one!